Does anybody know of a good way to write simple paper letters in LaTeX, so that the formatting shows the receiver's address in the right place, to show it in the window of those C5 envelopes with an "address window" (see picture)? Those envelopes follow some kind of standard here in Sweden, I would like to use them since my handwriting is not that good looking. The question is how I get a box with the receiver's address in the upper right corner on the first page? 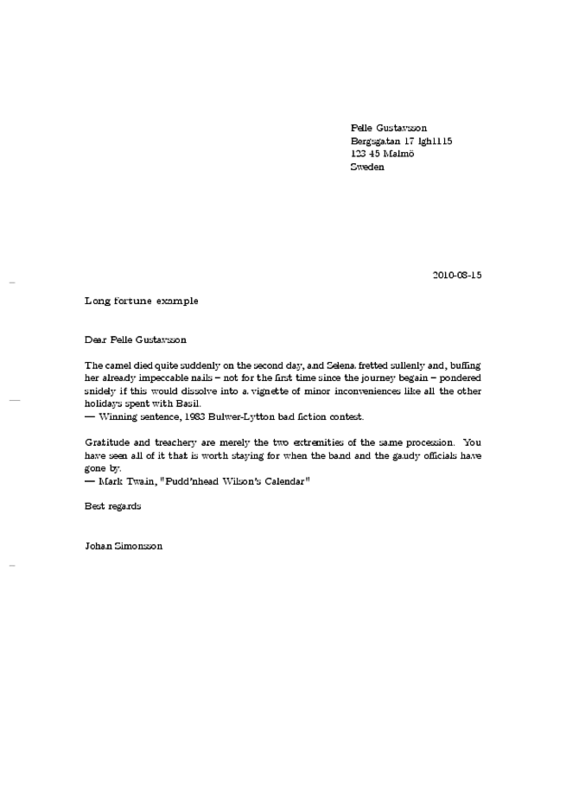 Update: I think the letter should conform to SS 34321 (Swedish Standard). I created a basic example using the scrlttr2 and it's close enough for now, I have printed and the address show up in the right place. \\   --- Winning sentence, 1983 Bulwer-Lytton bad fiction contest. \\\\   Gratitude and treachery are merely the two extremities of the same procession. \\   --- Mark Twain, "Pudd'nhead Wilson's Calendar"
My choice would be the document class scrlttr2. It can be customized in many ways. This option decides that the file SN.lco has to be used which sets the address to the right side. If you look into this file, which is located in the same folder like the scrlttr2 class, you would see the used lenghts. They are set by the command \@setplength. Those lengths are called pseudolengths, they are described in the KOMA-Script manual. Have a look at Figure 6.1.: Schematic of the pseudo-lengths for a letter. It's a drawing visualing the lenghts. Here are useful for instance toaddrhpos, toaddrvpos, toaddrwidth and toaddrheight, toaddrindent and toaddrindent. You could adjust those lengths in your preamble according to your needs. You could vary these values until they fit well, or calculate it from the paper size and the other dimensions. For anybody looking after a quick example using scrlttr2. 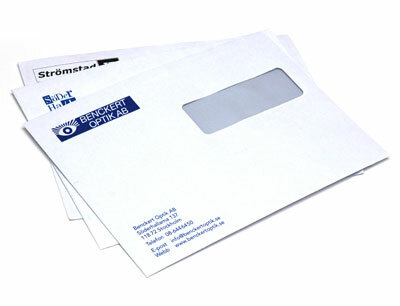 To get the window of the envelope right, make sure you select the correct paper size and one of: DIN, DINmtext, SNleft, SN or NF. Check out scrlttr2 from koma-scripts. Not the answer you're looking for? Browse other questions tagged positioning letters addresses or ask your own question. How to use dinbrief to create a letter that fits with the window of a DIN envelope?